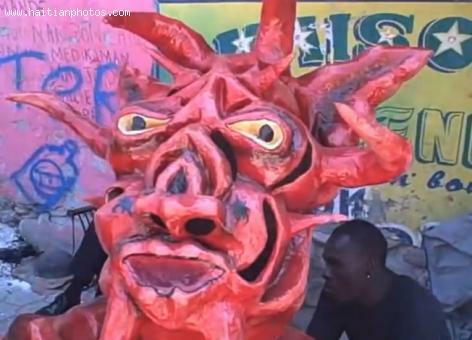 Here is one of the famous masks in a Jacmel Carnival. You can see at that time the artwork of so many artists in the city, including hundreds of huge colorful masks made with paper mache that are amazingly decorated. The city of Jacmel is one of the major production centers for beautiful Haitian arts and crafts.